In recent years the world has witnessed a huge increase in demand of energy. Hence, mankind is now compelled to develop and use new technology to recover from non-conventional resources. This calls for new technological developments whose application can cater to the global energy needs. One such development is multi-stage well stimulation in horizontal wells. The two most common methods of multi-stage horizontal well stimulation i.e., widely used “plug & perf method” and relatively new “ball & sleeve method”. StoneWall closely examines their feasibility of economical as well as time aspects. Since the inception of this technology though new engineering and design methods, its scope has increased by many folds. Earlier its applications were limited to conventional reservoirs with vertical orientation. With latest advancements in technology likehorizontal well completion we got better methods for infill drilling and reservoir depletion. Increase in the effective surface area of the well to maximize reservoir contact. Low vertical permeability resulting in less inflow. Other short comings were the ability to effectively stimulate or fracture the horizontal wellbore from the toe to the heel, particularly in reservoirs that were not naturally fractured. The use of limited entry and bull-heading techniques provided little benefit compared to vertical wells. Post production analysis on the deliverability of horizontal wells in reservoirs such as matrix, heterogeneous and non-conventional formations showed a direct correlation to the completion and stimulation methods employed and their shortcomings in horizontal applications. Thus, the added expense of a horizontal well was not justified by the equal to or slightly better production results versus vertical wells. 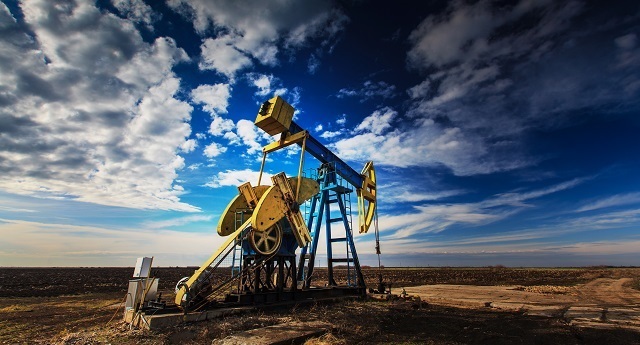 Thus for efficient exploitation of the non-conventional plays and to fulfill the ever increasing global energy demand Multi Stage Horizontal Well Stimulation was introduced. The goal was of increasing access to the reservoir through the induction of fractures along the entire length of the horizontal wellbore. Since then extensive research has been done in this field which provided satisfactory results and remarkable increase in production from horizontal wells. This system comprise of the traditional methods of fracturing in multiple number of stages. The number of stages vary according to the extent of the horizontal well in the reservoir (usually 1000’-1500’). This technique called off for introduction of new improved equipment whose details have been provided further in the paper. Cemented liner,multi-stage fracturing method. This type of completion involves cementing production casing in the horizontal wellbore and “plug and perf” stimulation (Blanton and Mackenzie, 2006). Mechanical isolation in the liner is accomplished by setting of bridge plugs using pump down wireline or coiled tubing (CT), followed by perforating and then fracturing the well to provide access to the reservoir. The cement provides the mechanical diversion in the annulus while the bridge plug provides the mechanical diversion inside the liner. This process is then repeated for the number of stimulations desired for the horizontal wellbore. After all the stages have been completed, Coiled Tubing is used to drill out the composite plugs, thus re-establishing access to the toe of the horizontal wellbore. Although an effective method of creating diversion along the horizontal for discrete stage stimulation, the inherent cost of multiple interventions with Coiled Tubing, perforating guns and deployment of fracturing equipment needed for each stage are extremely high, not to mention, very inefficient and time consuming (Houston et al., 2010; Samuelson et al., 2008). Production using this method can also be limiting, as cementing the wellbore closes many of the natural fractures and fissures that would otherwise contribute to overall production (Themig, 2010). Fracturing Fluid: The fluid used during hydraulic fracture treatment of reservoir consists primarily of water with some additives (in required concentrations) depending upon the conditions of the specific well being fractured. It has two functions. Firstly it opens and extends the fracture and secondly transport the proppant along the fracture length. Proppant: These are the suspended particles in fracturing fluids that are used to hold fractures open after hydraulic fracturing treatment, thus producing a conductive pathway that fluids can easily flow along. Naturally occurring sand grains or artificial ceramic materials are common proppants used. Used to stimulate cased wells. After the plugs have been milled out, the hydrocarbon get full wellbore radius for production. It is the simplest system to run in the hole and providing the full availability of wellbore diameter for stimulation purpose. Because of the above mentioned advantages it has gained strongest foothold in the market. The necessity for repeated Coiled Tubing interventions and the repeated rigging up and down of the fracturing or stimulation equipment. Depending on the well design and fracture-treatment design requirements, this process could take several hours per zone and require the frac crew to be idle while the plug and TCP/wireline trips are made to get ready for another frac. Problems are often encountered when cementing horizontal liners in place with the added benefit of having a liner in the horizontal, which is beneficial for CT access and remedial operations later in the life of the well. Continued innovation such as pump-down plugs etc. have made this process more efficient, but at its best, operators are still only able to perform two or possibly three frac jobs per day on a single well. This process works well if over- flushing a previous fracture treatment is not an issue. It is a well-established process, but not feasible when multiple fractures are desired for a short duration. In 2000, the development of open hole mechanical diversion was placed at the forefront of research and development. Over the next two years various product components and systems were tested and deployed in the field. These tests led to what is now the standard system for open hole completions, with more than 300 successful runs to date. Uncemented , open hole, multi-stage (OHMS) fracturing method or in short Ball and Sliding Sleeve System : OHMS were pioneered in 2001 with the goal of making multi-stage fracturing more efficient, both in terms of time and cost, as well as repeatable and reliable (Seale et al., 2006; Seale, 2007). OHMS use hydraulically set mechanical external packers instead of bridge plugs and cement to isolate sections of the wellbore. These packers typically have elastomer elements that expand to seal against the wellbore and do not need to be removed, or milled out, to produce the well. Instead of perforating the casing to allow fracturing, these systems have sliding sleeve tools to create ports in between the packers. These tools can be opened hydraulically (at a specific pressure) or by dropping size-specific actuation balls into the system to shift the sleeve and expose the port. The balls create internal isolation from stage to stage, eliminating the need for bridge plugs .OHMS permits that all the fracture treatments can be performed in a single, continuous pumping operation without the need for a drilling rig. Once stimulation treatment is complete, the well can be immediately flowed back and production brought on line. By developing a system to set in open hole, provide mechanical diversion and allow multiple fractures to be performed along the entire horizontal wellbore, all the problems associated with horizontal completions to date have been addressed. The packer would be required to sustain differential pressures of 10,000 psiat temperatures up to 425OF and set in holes enlarged up to 50%. Stimulation Sleeve: The stimulation sleeve was designed to be run as part of the casing string. It is a tool that has communication ports between the ID and the OD of casing. The stimulation sleeve was designed to give the operator the option to selectively open and close any sleeve in the casing string (up to 10,000 psi differentials at 350°F). Swelling Packer: The swelling packer requires no mechanical movement or manipulation to set. The patented technology is the rubber compound that swells when it comes into contact with any liquid hydrocarbon. The compound will conform to the ID that it is swelling in and will continue to swell, up to 115% by volume of its original size. Ball seats: These are designed to withstand the high erosion effects of fracturing and the corrosive effects of acids. The introduction of the sleeve and swelling packer system (SSPS) technology now gives operators another completion method of effectively and economically completing new multi-zone wellbores with minimal to no intervention. Stimulation through the sleeves required less HHP, as a result of lowered treating pressures and providing the option to close the fracture ports in later date. A great efficiency is realized by performing multiple fractures or stimulation in a single pumping operation, which equates to significant savings of time and money, while reducing the health, safety and environment (HSE) hazards associated with those activities.  Because fractures are able to initiate anywhere within the open-hole section of each isolated stage, the fracture will take the path of least resistance i.e. where the breakdown pressure is the lowest. This, in turn, reduces the potential for fracture tortuosity. The necessity for repeated Coiled Tubing interventions and the repeated rigging up and down of the fracturing or stimulation equipment is also eliminated with this system. The erosion resistance technology of the ball seats provides a design that could easily be milled/drilled. This allows all obstructions in the liner to be removed so full access to the toe of the horizontal wellbore could be attained. Sometimes added backup may be provided in handling the high treating pressures that would be encountered. This system provides a redundant seal over a specified length, which was determined through modeling would prevent the stimulation or fracture to propagate past the seal. 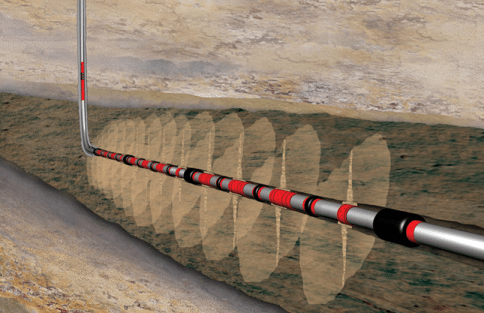 The packer optimizes the mechanical diversion within the designed section length in the open hole horizontal wellbore and yet, flexible enough to navigate higher dog legs encountered in some drilling environments. With full access through the liner, standard operations associated with Coiled Tubing, logging, flow testing, etc. can be performed. It is common to have issues with noise and the surface owners while completing these wells, so the less time a stimulation crew can spend on locations, the better it will be for community relations. Removing the explosives from locations also removes one of the safety hazards. That issue is the ability to re-fracture the well without having to utilize a work string or a rig. With the Re-Closable FracPort design, all stages can be closed, leaving only the last one open and the well can be re-fractured just as it was initially, by dropping balls and pumping specifically designed fracturing treatments for each specific section of the horizontal well. The limiting factor in the number of ball-drop activated tools run in a single wellbore is the undesired low fracture flow rates due the reducing size of available balls and ball seats. The larger balls would flow back to surface, but the smaller ones could not. The most significant cost savings use of OHMS come from the saved time on location and horsepower requirements associated with the fracture treatment. Tubing Conveyed perforating, Wireline perforating and plugs are just a few of the added costs needed to perform the plug and perf procedure that are not necessary in the OHMS system. The OHMS completion method eliminated approximately two weeks of completion operations at a cost savings of $300,000 to $400,000 per well at 2005 pricing. Additional costs for plug-and-perf operations include renting and running a tieback string to provide a mono-bore for plug and gun deployment, wireline charges, and additional pumping charges. The cumulative effect of this delay over the course of a sustained drilling program can have a significant impact on the net present value (NPV) of the project. For example, in the Bakken Shale an extra 200 bbl is used per stage to pump down plugs. For a 14-stage completion, the average cost for water using OHMS is US$40,000 saving 15% or $6,000 per job (Zander et al., 2010). The cumulative effect of these savings taken over the course of a sustained drilling program can have a significant impact on the net present value of the project. With no logistical issues or mechanical failures, the fracture treatment of a 20-stage OHMS (the technical limit at the time of the study) could be pumped in a single, 24-hour period. A comparable plug and perf completion can take up to five days. An additional benefit is to greatly increase the availability and flexibility of the service company’s hydraulic fracturing treatment equipment schedule. The shorter stimulation treatment time of OHMS completions allows for less stand-by time of frac and wireline services and also allows the well to be put on production faster than a cemented liner, plug and perf well, which maximizes usage of increasingly limited frac crews (Edwards et al., 2010; Loehoefer et al., 2010).This disparity is strictly due to the time required to pump each stage for the plug and perf method. The plug and perf method require bridge plugs to be pumped down the tubing, which requires the wellbore to be flushed clean of all proppant to avoid getting the plug stuck before it reaches the desired setting depth which is a time consuming process. The study was undertaken to compare cemented verses uncemented multi-stage fractured wells in the Barnett shale. This study analyzed the data of the two types in the same time period and the long-term production recoveries . Previous studies in the Barnett Shale have indicated that uncemented wells perform better than cemented wells (Fisher et al., 2004). However, despite having opened other unconventional plays, the perception persists that open hole completions do not work within certain areas where cemented casing dominates (Britt and Smith, 2009). In terms of optimizing production of multi-stage stimulated wells, recent modeling simulations of depletion profiles from 6-stage open hole and cemented liner multi-stage completions have shown that open hole completions result in better drainage of the lateral (Themig, 2010). However, most models are unable to simulate the varying stresses in a horizontal wellbore the actual growth path and therefore size of the fracture cannot be determined. This creates a problem when attempting to optimize the fracture growth to allow for the most contact with the formation. While the plug and perf method does seem to combat the majority of the concerns above including isolation with cement, perforations that extend into the formation to combat the hoop stress (Britt et al, 2009).But cementing off the lateral prevents the contribution of production from natural fractures and fissures often present in unconventional reservoirs that an open hole lateral would benefit from. The major operational advantage of OHMS completions is that they can be performed in a single, continuous pumping operation without the need for a drilling rig or wireline/CT services. This single feature provided the primary source of time and cost savings. (Edwards et al., 2010; Houston et al., 2010; Lohoefer et al., 2010; Samuelson et al., 2008). However the plug and perf technologyrequired following tasks, all down hole work after the drilling rig had reached total depth (TD): cementing of the lateral casing, coiled tubing or tubing conveyed toe stage perforating, the setting of 5 or 6 bridge plugs, and perforating runs for a 6 or 7 stage hydraulic fracture treatment design. Then, after fracturing treatment, the long drill out process of bridge plugs set between stages. The OHMS system allows for the fracture treatment to seek out the area of least principal stress along the wellbore and propagate one or multiple fractures. This method seems like a natural fit in a hard rock low perm environment, however it can lead to some problems when attempting to model the fractures. However in Plug and Perf method concrete entry points into the formation to allow for easier fracture initiation (Britt et al, 2009) and then propagation throughout the reservoir. Discounting fracture treatment scheduling concerns often encountered, a well completed using OHMS can be put on production within two days of rig release. The plug and perf system can add an additional 4 days to the fracture treatment and introduce several logistical “headaches” including trucking and timing issues. OHMS completions are safer due to the reduced number of trips in and out of well, reduced time on site, as well as no requirement for perforating explosives. The importance of managing the flowback period of a well is another parameter that has been recognized as an important factor for optimum well production performance (Crafton and Gunderson, 2007). OHMS completed wells can be immediately flowed back and put on production after stimulation as opposed to requiring time-consuming drill out of bridge plugs and potential shut-in periods which can exacerbate formation damage and cause irreparable reductions to the flow rate and regained permeability. In plug and perf, to ensure that bridge plugs do not get stuck in the well due to the presence of proppant in the wellbore from the previous stage, an entire wellbore worth of fluid is displaced before a bridge plug is pumped down which although removes the extra proppant but also pushes that proppant out into the fracture away from the wellbore. On the other hand, by taking into account the type of system being run, the depths, lateral lengths and fluids being displaced, OHMS completions can more accurately place a ball on seat to isolate the previous stage’s fracture treatment resulting in the more ideal situation – proppant placed right at the wellbore reducing over displacement of the fracture treatment. Want to know how StonewALL CAN DESIGN YOUR WELL STIMULATION tOOL? cONTACT US BY FILLING OUT THE FORM!